Chris Cornell was a talented award-winning musician regarded as one of the founders of the alternative rock genre called grunge. Late Cornell won two Grammy Awards from a total of fifteen nominations. He also received a Golden Globe Award nomination for the song, ‘The Keeper’, which featured in the movie ‘Machine Gun Preacher’ (2011). Cornell was equally the brain behind the theme song, ‘You Know My Name’ for the James Bond film ‘Casino Royale’ (2006). Cornell was born Christopher John Boyle, the middle child of Karen Cornell and Edward F. Boyle’s six children on July 20, 1964, in Seattle, Washington. He was raised by both parents until their divorce when he was a teenager, prompting him and his siblings to change their surname to that of their mother. He attended Christ the King Catholic elementary school and later, Shorewood High School where he first began suffering anxiety from being around other people. The anxiety he suffered went on to metamorphose into a severe depression which made him drop out of school. At around this time, Cornell began drinking alcohol and using other substances that include marijuana, mushrooms, and other prescription drugs before later finding solace in music. While working on his craft, he did different odd jobs, including working as a dishwasher, a busboy, and an assistant chef. Sometime in the early 80s, Chris Cornell joined a band called The Shemps which featured his future collaborator, bassist Hiro Yamamoto. Yamamoto later left the group, paving way for guitarist Kim Thayil to join as the group gained local popularity. The Shemps soon broke up and gave way for Cornell to join forces with Yamamoto. The two later brought Thayil into the fold and Soundgarden was born; this was in 1984. Two years later, drummer Matt Cameron joined as the band eventually landed a recording contract with Sub Pop Records. Soundgarden changed record labels a number of times as other members came and went, while Cornell remained its frontman and stirred it to commercial success while also working on a solo career and with other groups such as Audioslave and Temple of the Dog. What Was Chris Cornell’s Cause of Death? For the most part of his life, Chris Cornell suffered from depression as well as alcohol, prescription, and illegal drugs abuse. He started using the substances around 1980 and was able to manage it until around 1997 when his first marriage was beginning to fall apart and Soundgarden also breaking up. Cornell began to heavily abuse the substances but was, however, able to check himself into rehab in 2002 before eventually quitting in 2005. He was notably honoured by the Recording Academy’s MusiCares MAP Fund which gave him the Stevie Ray Vaughan Award for his dedication to helping other addicts with their recovery process. What Cornell was however not able to fight off was his depression and suicidal thoughts which he publicly spoke of. He eventually committed suicide by hanging himself in the early hours of May 18, 2017, in his hotel room in Detroit, about an hour after he performed at a show. The medical examiner’s office ruled his death a suicide, adding that the drugs found in his system did not contribute to his death. This debunked claims by Cornell’s wife that his anti-anxiety medication, Ativan, was to blame because it impaired and altered his state of mind. At the time of his death, Chris Cornell was married to Vicky Cornell (nee Karayiannis), a Greek-American Paris based publicist. The pair met in France in 2003 while Cornell was on tour with his band Audioslave in the country. They got married a year later in 2004 and together, have two children; daughter, Toni Cornell, born in September 2004 and son, Christopher Nicholas Cornell, born in December 2005. Cornell has another daughter, Lillian James Cornell who was born in June 2000 from his first marriage to Susan Silver who previously managed the bands Soundgarden and Alice In Chains. 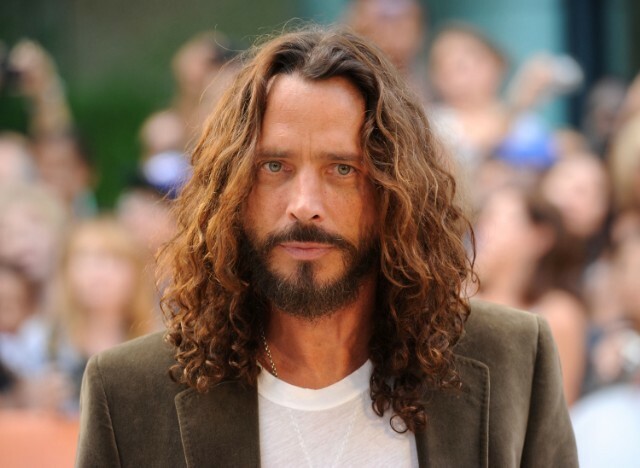 Chris Cornell was estimated to have a net worth of around $60 million at the time of his death which put him among the world’s 50 richest musicians. He made his money from selling millions of records as well as from ticket sales from his world tours.